Our One on One series features artists, writers, poets, curators, and others from around the country, responding to works in SFMOMA’s collection. You can follow it here. I like thinking about Calvino’s definitions as a means of understanding the way contemporary visual artworks are often also re-engagements with intellectual and aesthetic concerns from previous times and cultural contexts. In my opinion, what makes an artwork contemporary is not its date of production, or its “up-to-date” look, or its direct response to current issues and events. On the contrary, I believe that what makes an artwork contemporary is the way an artist rereads and re-contextualizes previous forms of cultural knowledge and makes them relevant to his or her own time. In this sense, the content and meaning of a classic — whether a book or an artwork — is an ever-growing series of re-readings of questions and observations that are inherent to our most basic human conditions. For example, it is not uncommon to find contemporary artworks that reread other artworks or are in dialogue with other artists, either recent or ancient. We see this in works that are made after so-and-so, or that use appropriation as a means of aesthetic and intellectual creation, or that are made with the purpose of reinterpretation, opposition, distortion, tribute or satire. 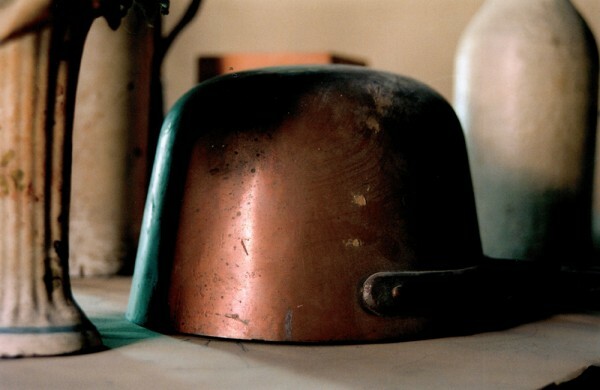 The work I want to talk about is Day for Night (2009), a film by British artist Tacita Dean, which is in dialogue with Italian artist Giorgio Morandi and his life-long painting practice. In this case, the conversation spans a century, as Morandi was born in 1890 and died in 1964, while Dean was born one year later, in 1965. Day for Night is a 16mm color film composed of twenty different still and silent shots, each approximately thirty seconds long. 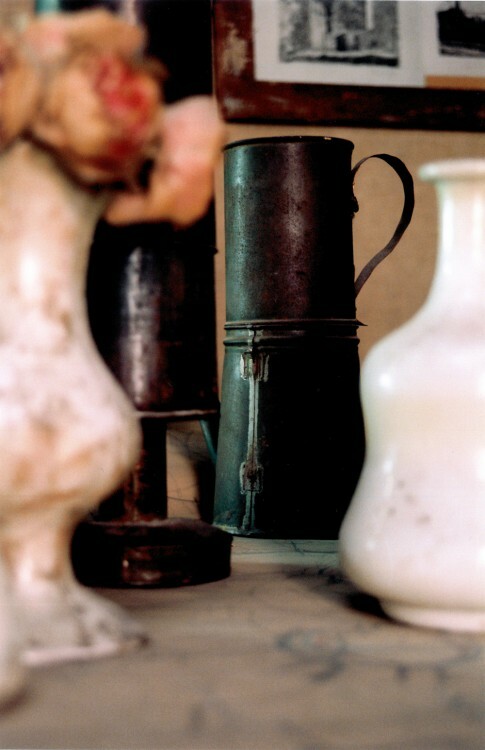 What we see in each of the frames are close-ups of arrangements of aged domestic objects displayed in a seemingly random order: ceramic vases and glass bottles of different shapes appear accompanied by rectangular containers; metal jars and pots are presented upside down or in the background next to ceramic bowls, boxes, and carafes; old dry flowers, still inside some of the vases, are juxtaposed with oil lanterns and a few other vases. All of these objects belonged to the Italian painter and printmaker Giorgio Morandi. We know Morandi thanks to the many stunning still life paintings and prints he made over the course of some fifty-plus years. Departing from the “ordinary” theme of the still life, his works profoundly embraced and made “extraordinary” the concept of time via repetition, slowness, and light. After he was conscripted into the Italian army in 1915, the year Italy joined World War I, Morandi was indefinitely discharged due to a nervous breakdown he suffered while in service. He moved back to his family house and, in the midst of two world wars, studied and painted the same collection of bottles and vases for the rest of his life. These are the objects Tacita Dean filmed for Day for Night. To shoot the film, Dean went to no. 36 via Fondazza in Bologna, the house where Morandi lived and worked most of his life with his mother and his three unmarried sisters, and where his collection of objects still remains today. Dean also produced a second film named Still Life at this house, which then provided the title to a larger solo exhibition of her film works at Palazzo Dugnani in Milan in 2009, where these two films premiered along with fourteen other existing works. Day for Night is one of many portraits of artists Dean has made throughout her career, including films about Merce Cunningham, Mario Merz, Cy Twombly, Claes Oldenburg, and Julie Mehretu. Tacita Dean has produced over forty 16mm films as well as drawings, photographs, and texts. Often using the fleeting nature of light as a compositional and conceptual tool, she places notions of absence and the inevitable passage of time at the core of her practice. Her films include The Green Ray (2001), in which she tries to capture an unexplained atmospheric phenomenon; or Fernsehturm (2001), which was shot in the slowly-rotating restaurant at the top of Berlin’s TV Tower. Day for Night once again picks up on the theme of time and light, since Morandi’s work is so inextricably linked to the endless hours, weeks, and decades he spent painting the same objects. His many paintings show that he arranged and re-arranged them over and over again, creating different but always rigorous compositions under a bright, unifying light that highlighted both their simple geometric shapes and their two-dimensional presence. In Dean’s film, the notion of light and temporality gains a whole new layer: it turns seemingly static objects into slow ones. Not only does she shoot long still shots of the objects, but she shows how slow these objects actually are and how slow their lives have been over the past century, which contrasts with how quickly the world has changed around them. Dean shoots each object in a way that singles it out from the larger group by placing one or the other center frame, or by focusing the lens on a particular part of the arrangement — sometimes on an object in the foreground, other times in the background — highlighting their individual characteristics and the various ways each of them has aged. We see their scars, the layers of dust accumulated in some parts of their bodies, as we also see Morandi’s brushstrokes and the monochromatic sheets of paper he used to cover them so as to control their flat tones and geometric shapes. Dean’s film also reveals the surface on which all the objects have been resting for several decades: What seems like a flat tabletop covered with a large sheet of paper contains many scratches or circular drawings overlapping each other, similar to the marks left on the surface of an ice-rink. These marks were the many studies Morandi made as he moved the objects around, methodically following a rhythmic system he had invented. “Day for Night” is a term used to describe a cinematographic technique that uses a particular camera lens to turn a scene filmed during daylight into a night-scene. In other words, it’s about capturing an image and re-presenting it under a different “light.” In that same sense, Dean’s film is an act of rereading the life and work of Morandi. While these are the objects that Morandi observed for endless hours, what we see in the film are the witnesses, or the relics, of this very act of contemplation. Unlike the other portrait films Dean has made, we don’t see Morandi or his actual paintings, but instead the material leftovers of the artist’s life. In this sense, Day for Night is not necessarily a portrait of Morandi, but a silent sequence of individual portraits of Morandi’s objects, which have never finished saying what they have to say, and that continue to live on despite the absence of the artist’s hand. Covered with an accumulation of dust, unique marks, and aged brushstrokes, these vases, boxes, and bowls have slowly become the materialization of time. “Biografia Giorgio Morandi.” Centro Studi Giorgio Morandi. Web. 10 April. 2015. Calvino, Italo. “Why Read the Classics?.” The New York Review of Books (9 October 1986) (1986): 19-20. Carvajal, Rina, ed. Tacita Dean: Film Works. Milano: Charta, 2007. Print. Friedli, Isabel, and Theodora Vischer, eds. Tacita Dean, Analogue Drawings 1991 – 2006. Göttingen: Steidl, 2006. Print. “History and Identity.” Museo Morandi. MAMbo. Web. 10 April. 2015. Royoux, Jean-Christophe, Tacita Dean, Marina Warner, and Germaine Greer eds. Tacita Dean. London: Phaidon, 2006. Print. Schjeldahl, Peter. “Tables for One. 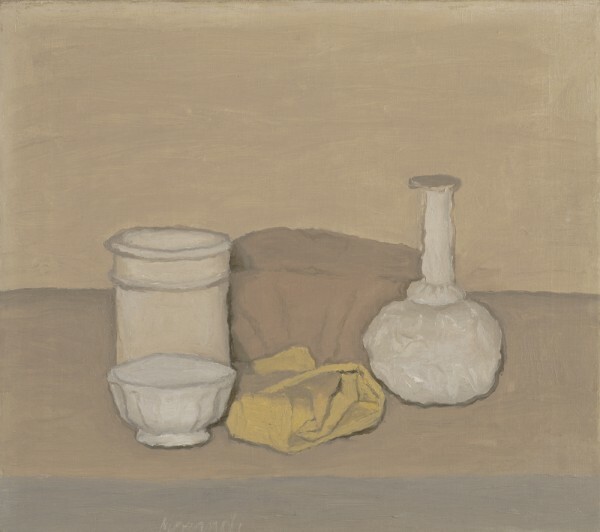 Giorgio Morandi’s still-lifes.” The Art World. The New Yorker, 22 September, 2008. Web. 10 April. 2015. “Tacita Dean: Five Americans.” Past Exhibitions. New Museum. Web. 10 April. 2015. “Tacita Dean. Still Life.” Exhibitions. Fondazione Nicola Trussardi. Web. 10 April. 2015. Juana Berrío (b. 1979, Bogotá, Colombia) is the director and curator of Kiria Koula, a contemporary art gallery and bookstore located in San Francisco. She has worked as an Education Fellow at the New Museum in New York (2012) and at the Walker Art Center in Minneapolis (2010-2011) and served as a curatorial assistant for Massimiliano Gioni (2013 Venice Biennale). As an independent curator and writer, she has been a contributor for Frog Magazine, Bielefelder Kunstverein, Kadist Foundation (Paris), and Look Lateral, among others.